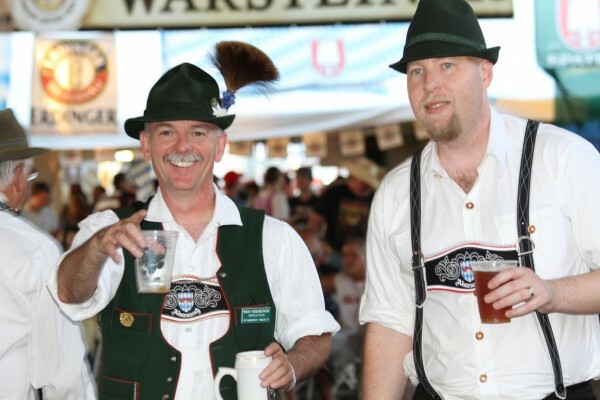 OKC.NET | Old Germany’s Oktoberfest: Lagers, Lederhosen, and Schnitzel – Oh, My! Old Germany’s Oktoberfest: Lagers, Lederhosen, and Schnitzel – Oh, My! If you’ve never experienced Old Germany’s Oktoberfest, you owe yourself a trip out to Choctaw to take in the sights, sounds, smells, and tastes of central Europe all while sampling a variety of beers. Owner Mike Turek’s family immigrated to Oklahoma in the 1970s. 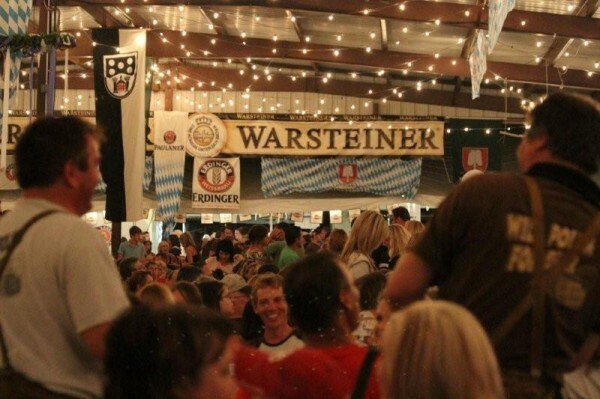 Oklahoma City lacked a traditional beer festival at the time, so the Tureks decided to bring the Oktoberfest tradition to Oklahoma. The festival has been around awhile, but this year Turek said it will last longer, it will be bigger, and will have more kinds of beer and wine to choose from. That means if you try something you like while you’re wandering around this year’s Oktoberfest, there is a good chance you’ll be able to find it locally and stock it at home. Other offerings at the festival include: rippchen (smoked pork chops), bratwurst, schweinshaxen (ham hocks), schnitzel sandwiches, authentic-style German pretzels, potato pancakes with apple sauce, apple strudel, red cabbage, sauerkraut, German potato salad, and corn dogs (for the unadventurous carnivores). Shiny happy people holding hands! The event starts on August 31st with the “Stabbing of the Keg” kick-off ceremony at 5:30 p.m. The 2012 Oktoberfest will last nine days, August 31 through September 8th, and will feature crafts, vendors, and activities for children. German dance groups and musicians will entertain the masses all day and night, with performances from: Alpen Musikanten, Alpenfest, Das ist Lustig, and Uncalled Four. There’s also a new feature with National Monster Energy Drink. Turek said Monster’s FMX Motor Cycle Stunt Team will be at the fest Friday evening and Saturday afternoon. Personally, I’m excited about the selection of German beers, the food, and catching all the guys sporting their best pairs of lederhosen. We may even do a fashion segment in our review about who wore their traditional German costumes best. Rocking both lederhosen and beer at the same time. The festivities will be located under the Festival Pavillion on Choctaw Creek Park, located on Harper Street, ½ mile south of NE 23rd Street in Choctaw at 2001 N. Harper Rd. You can also “like” Old Germany’s Facebook page to stay up-to-date on any festival changes. Saturday, September 8: VW Clubs Car Show starting at 2 p.m. featuring BMW, Mercedes and Porsche. Admission is $5 for adults; children under 12 get in for free. More parking is available this year and is free. Tagged Alpen Musikanten, beer, cs, festival, Friday, German Tents, Harper Rd, National Monster Energy Drink, Oklahoma City, Oktoberfest, Uncalled Four. Bookmark the permalink.